Sprawling, contorted mesquite trees (Prosopis spp.) present a distinctive profile where they grow in the southwest United States and Mexico. Only one species is native to the United States -- the Arizona, or velvet, mesquite (Prosopis velutina). 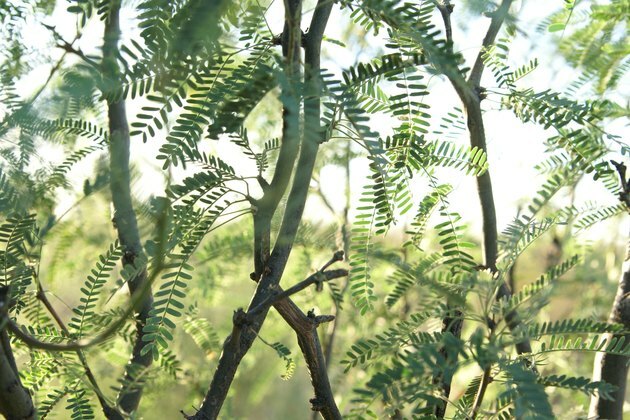 Like all mesquite trees, the Arizona mesquite grows only in arid and semi-arid regions, or in U.S. Department of Agriculture plant hardiness zones 9 through 11. The multi-trunked trees have low, dense canopies, so pruning is important to raise the canopy. Although some prune the tree to grow on one leader, this is difficult to do and not recommended. 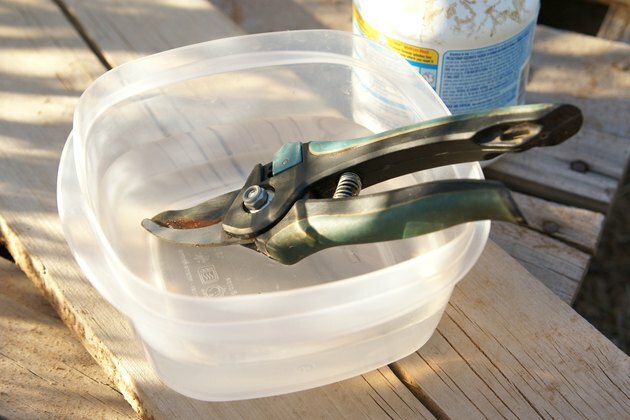 Sterilize your pruning tools by submerging the cutting edge in a mixture of 1 part bleach to 3 parts water. 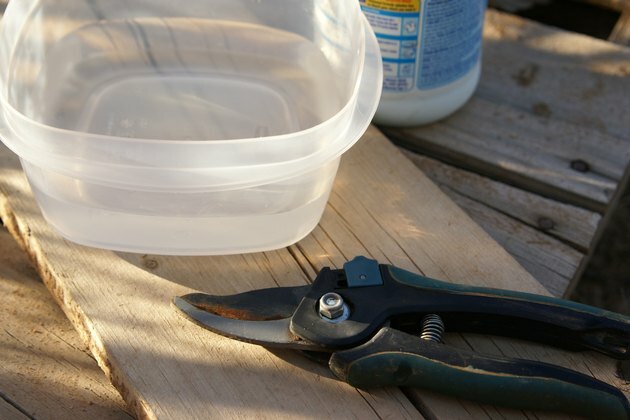 Remove the tools from the bleach solution after a minimum of five minutes and let them air-dry before pruning. 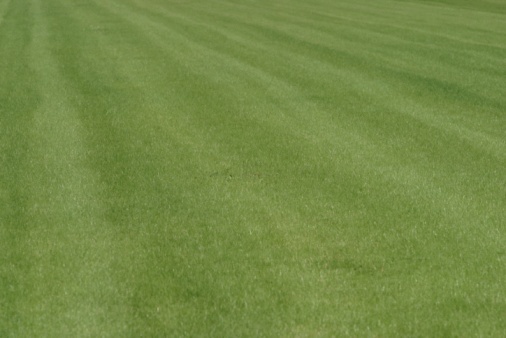 This process kills any fungal or bacterial diseases that may be on the blade from previous use. 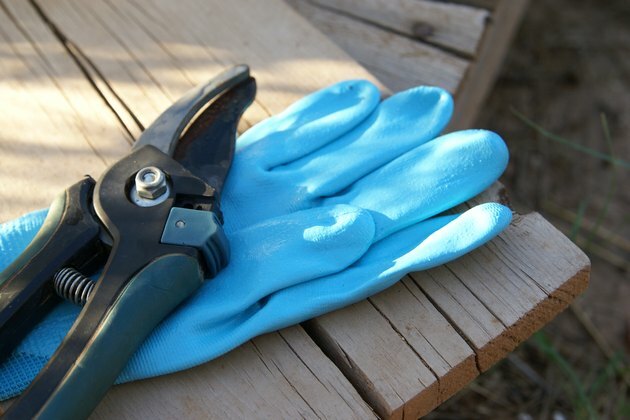 Protect your hands and arms with sturdy gardening gloves and long sleeves. 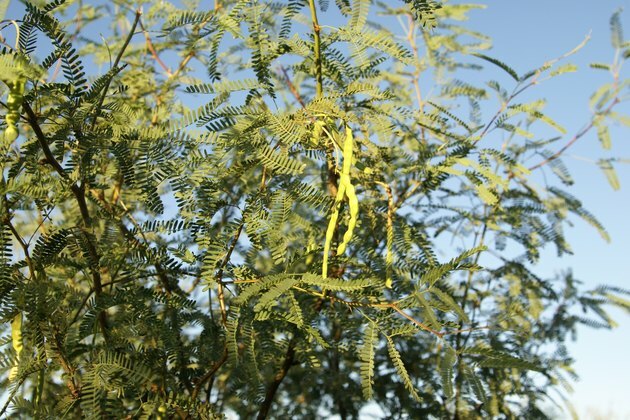 Many mesquite trees have long, sharp thorns. Remove any suckers, which are vertical shoots that grow from below the soil. Prune off diseased or severely damaged branches first. Start with branches less than 5/8 inch in diameter. 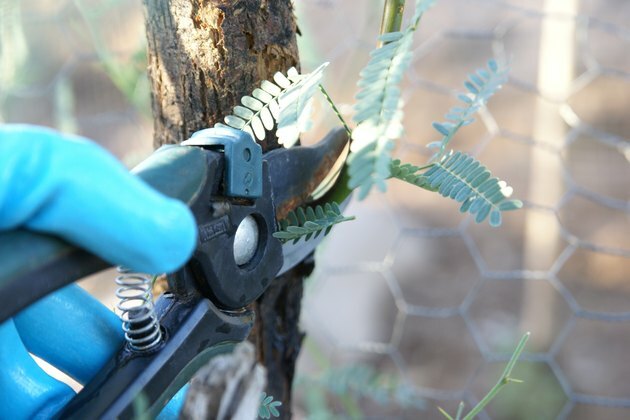 Use hand shears and cut as close to the parent branch or trunk as possible without cutting the branch collar, which is a raised bump underneath the branch. 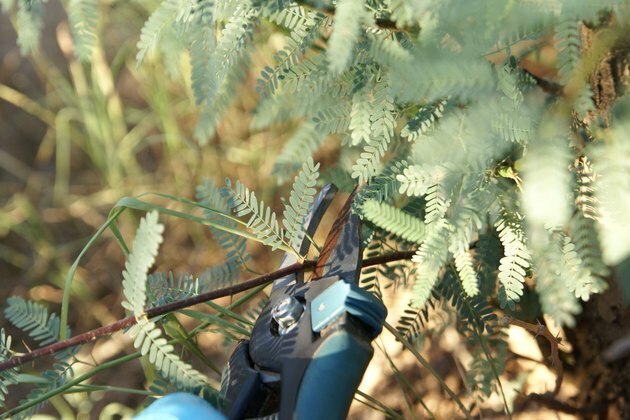 Cut branches larger than 5/8 inch in diameter with a pruning saw. Make three cuts. The first cut should be 3 to 5 inches away from the branch collar. Cut from underneath the branch about a quarter of the way into it. Then, place your saw above the cut and cut down until you meet it. Finally, cut off the remaining stump close to the branch collar. Prune off branches that heavily rub against each other, and cut away water sprouts, which are branches that grow vertically -- parallel to the truck -- from other branches. 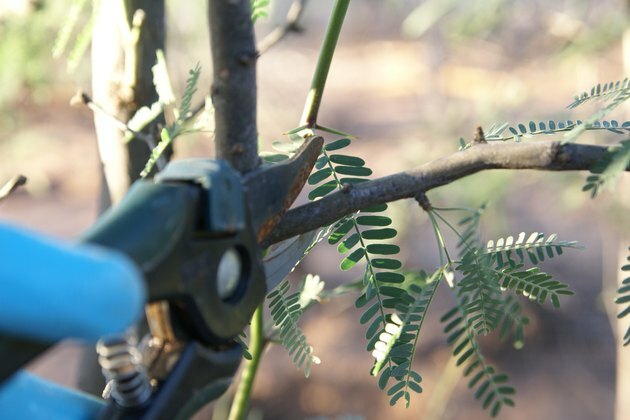 This will open up the tree, allowing light to reach the lower leaves and reducing the heavy weight of the mesquite's canopy.